In this paper we describe a model for the performance analysis of mobile packet data services sharing a common GSM/GPRS (Global System for Mobile communications/General Packet Radio Service) cellular infrastructure with mobile telephony services. 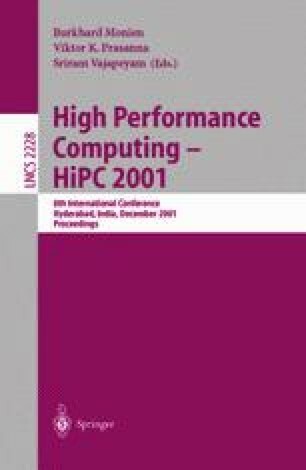 The performance model is developed using the DSPN (Deterministic and Stochastic Petri Net) paradigm. With limited computational cost, the DSPN solution allows the derivation of a number of interesting performance metrics, which can be instrumental for the development of accurate design and planning algorithms for cellular networks offering integrated services. This work was supported in part by the Italian National Research Council, and by CERCOM.